A full service automotive repair shop located in Norwich, CT owned and operated by Robert Kleemann Jr.
Kleemann Service Center has open for 10 years, and the Kleemann family has been servicing the Norwich areas automotive needs since 1947! We have a philosophy of top quality work, honest estimates, and affordable prices with a low pressure family atmosphere. 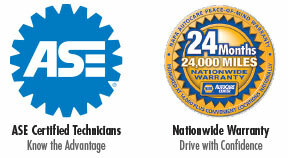 Our two ASE Master techs have a combined experience of 40+ years get the job done right the first time. We are a full service shop with no appointment necessary and convenient hours, servicing everything from cars to heavy-duty trucks. Stop in for a visit you will not be disappointed.